Truth: It should be taken in specific doses, and in specific circumstances. 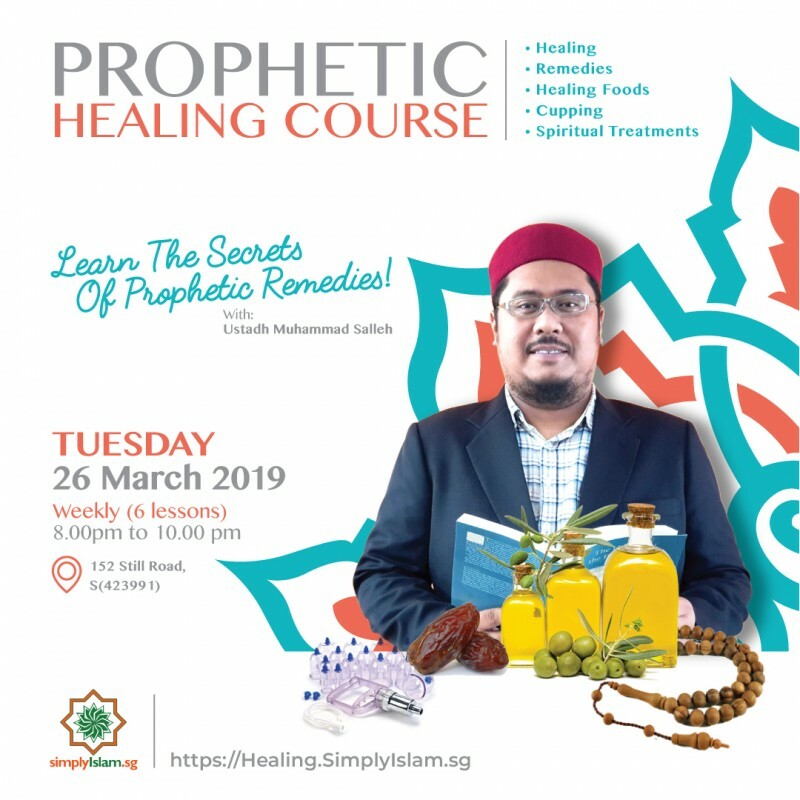 By popular demand, SimplyIslam's Prophetic Healing course makes a return this March! Commencing on the 26th of March 2019, this introductory course will share and exemplify Prophetic Healing approaches. Participants will be exposed to the medicines and treatments as practiced by Prophet Muhammad, Allah's Peace and Blessings be upon him. There is a cure for every disease of this earth. We have to strive towards seeking the knowledge of the remedies to these diseases. Prophetic Healing has been passed down over a thousand years, and still remains relevant and effective to this day. Learn of the many remedies and techniques that could remove harm from your bodies and keep us healthy and spritely. Our Prophetic Healing Course, now into its 11th iteration will commence on the 26th of March 2019. This 6-session in-depth course will discuss on the health benefits of Sunnah Foods such as Honey, Apple Cider Vinergar, Olive Oil and Habbatus-sauda; share remedies for common ailments such as fever, migraine and others; and techniques and usage of ruqya and cupping (al-hijamah), and the treatment of ailments caused by magic and the evil eye. Students should have interest in Prophetic traditions, specifically on the subject of healing as advised and practiced by Prophet Muhammad, Allah's Peace and Blessings be upon him. No other knowledge, exposure or familiarity is required.